If you were given a list of persuasive essay topics and have to choose the one for your home assignment, it means that you need to prove that you are capable of convincing the reader to accept your standpoint. You will have to clearly differentiate between reasonable and invalid ideas, no matter which topic you choose. Usually by assigning persuasive writing, professors give some examples. However, if you do not have such, go ahead and find some samples on the Internet to understand what is expected from this piece of writing. The key goal in persuasive writing is to appeal to logic. However, if you think that your reader will not accept your point, you are welcome to appeal to emotions. Try to focus on some good persuasive essay topics. The choice of topic is crucial, if you strive to get a maximum point for the task. You should know the topic well, if you want to submit a clearly organized paper with impressive ideas, examples, facts, etc. Every essay type should be written according to certain rules. Persuasive essays differ much because here a reader should be informed about an issue in the beginning and then should clearly see your standpoint. Ask yourself “What do I want to prove?” Choose one side only and always be clear and organized. Do not shift your direction, which will confuse the reader. You should be passionate and enthusiastic about what idea you want to share with readers and how they perceive the issue. Your persuasive essay format should always be based on professor’s instructions. Check carefully every sentence from the grading rubric and general requirements about possible paper parts. See if there should be a specific organization or division into subheadings. Moreover, pay attention to the audience because it indeed matters if your paper will be checked by professor or read by a classmate only. 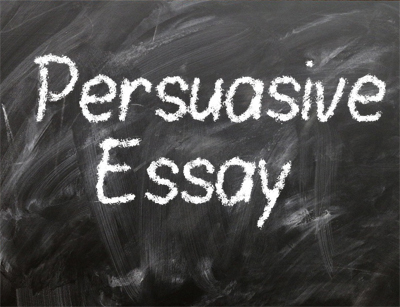 If you wish to succeed in writing a persuasive essay, you should spend enough time on research. Check how many sources your professor asked to use. Oftentimes, students are asked to use specific sources (e.g. only newly published ones, peer-reviewed articles, books only, etc). In any case, even if you do not have any specific instructions, always focus on credible and scholarly sources only. By copying ideas, always write down the exact name of the source and page number for in-text citations. Pay attention to the structure of your paper. Your paragraphs should be neat and contain approximately the same amount of words. Check some ideas for persuasive essays on the Internet that will guide you in the right direction. No matter how many ideas you discuss in introduction, main body, and conclusion, to make the reading process easier, include a number of transitions and linking phrases. The backbone of a persuasive essay is a thesis statement. If you did not present it, it is unclear what you will try to prove. Thesis statement should include one sentence only (can be 2 sentences if you write an extensive essay with multiple issues discussed). It should be placed in the very end of your introduction and serve a purpose of joining your introduction with the rest of the text. Begin your paragraphs in a main body with a topic sentence, which should directly pertain to the thesis statement. Each main body paragraph should have at least 1-2 examples to prove your standpoint. Do not forget to include an in-text citation after borrowed ideas, which can be presented as paraphrased sentences and direct quotes.